What happens when you are halfway through your day, and your energy plummets? Often people turn to coffee, chocolate, and energy drinks that may give you a lift in energy, but only temporarily. These foods create a massive surge in cortisol, which, in the long run, further depletes your ability to manage stress. At some point, the adrenals can no longer support elevated levels of stress and cause you to suffer from adrenal fatigue. Biochemically, stress does things in the body that eventually lead to the break down of tissue or to a dramatic disturbance in hormonal function. While common, these conditions are typically at the end of the spectrum. Meaning stress has been severe enough or chronic enough to lead to the breakdown of many systems within the body. Weight gain, mood changes, low libido, and fatigue don’t have to be considered typical of a busy American lifestyle. Restoring your adrenal fatigue health can treat symptoms of adrenal exhaustion to improve your mood, metabolism, and immune function! The adrenal glands are small walnut-sized glands that are located just above the kidneys and release hormones in response to stress. Some of us are better equipped to handle stress. The rest of us have adrenal glands that are overworked and tired. In other words, our adrenals are exhausted. Adrenal Fatigue leaves a person feeling tired, heavy, and susceptible to illness. When the adrenals are exhausted, they are no longer able to maintain appropriate levels of cortisol. Cortisol is secreted by adrenal glands in response to any stressful event, whether real or perceived. When we are locked into an on-going state of stress, we are responding to one small stressful stimulus after another. Add to that other common stressors like poor diet, lack of exercise, irregular sleep, and long work hours – and you have a recipe for adrenal burnout! Before the adrenals fall fully into exhaustion, other aspects of the endocrine system are affected first. Signs of adrenal exhaustion are often related to one another. Cortisol levels rise and fall depending on what and when you eat. Remember, the key to adrenal health is keeping cortisol levels within their normal range. High cortisol contributes to stubborn weight gain. Eat regularly throughout the day and avoid eating late at night. An excessive level of cortisol is often the real culprit that can keep you from losing weight. Infection and gut disorders lead to inflammation and elevated levels of cortisol. When cortisol is out of control, digestion shuts down. Poor gut ecology is one essential part of a vicious cycle that often occurs in adrenal burnout. While this is a normal aspect of the stress response, chronically elevated levels of cortisol contribute to both inflammation and infection. The gastrointestinal system is one of the most common places in the body to suffer from low-grade inflammation and infection. When our inner ecology is out of balance, we can experience anything from heartburn to gas to bloating. Unfortunately, sometimes the gut remains symptom-free. Instead, there may be other signs of inflammation and irregular levels of cortisol, including hormone-related problems in women. Those of us who are stressed, tired, and suffer from depression often have an irregular release of cortisol throughout the day. 1. Choose nutrient-dense foods that give authentic energy to your cells and supply your body with the power it needs to control inflammation. While inflammation and infection typically begin in the gut, the consequences are almost always systemic if allowed to persist. Keep in mind that gastrointestinal problems are often closely related to poor adrenal health. Vitality SuperGreen literally gives the cells in your small intestine the fuel they need. 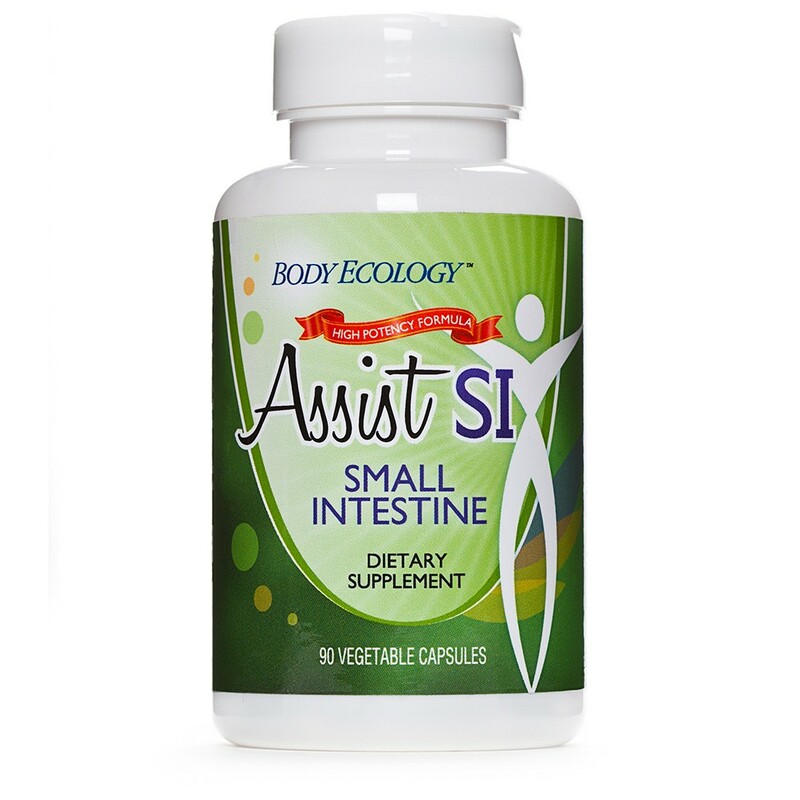 Assist Full Spectrum Enzymes and InnergyBiotic work together in healing digestion by sweeping away disease-causing bugs and inoculating the gut with beneficial microorganisms. Stevia is a zero glycemic sweetener that studies suggest may have a regulating effect on the pancreas to help stabilize blood sugar levels in the body. 2. Use tools that help to curb inflammation and gently detoxify the body. The process of cleansing can make a big difference in adrenal health. For example, if your liver is damaged from poor diet, prescription drug use, or alcohol, you will have a harder time bringing your adrenals into balance. The liver helps the body to metabolize and eliminate toxins, as well as hormones. An unhealthy liver can undermine an adrenal repair program. When restoring adrenal health, it is essential to support the liver. You can do this with Body Ecology’s LivAmend, which is formulated to cleanse the liver of toxic buildup while protecting and repairing liver tissue. Stress is mostly perceived. Adrenal burnout (adrenal fatigue) typically involves more than one lifestyle factor. Because diet is something that we can control, it is the first step that we can take in managing stress. A program that sets out to both energize and detoxify the body can help us safely navigate through adrenal exhaustion into a healthier, happier body and mind. The adrenals need minerals to thrive. 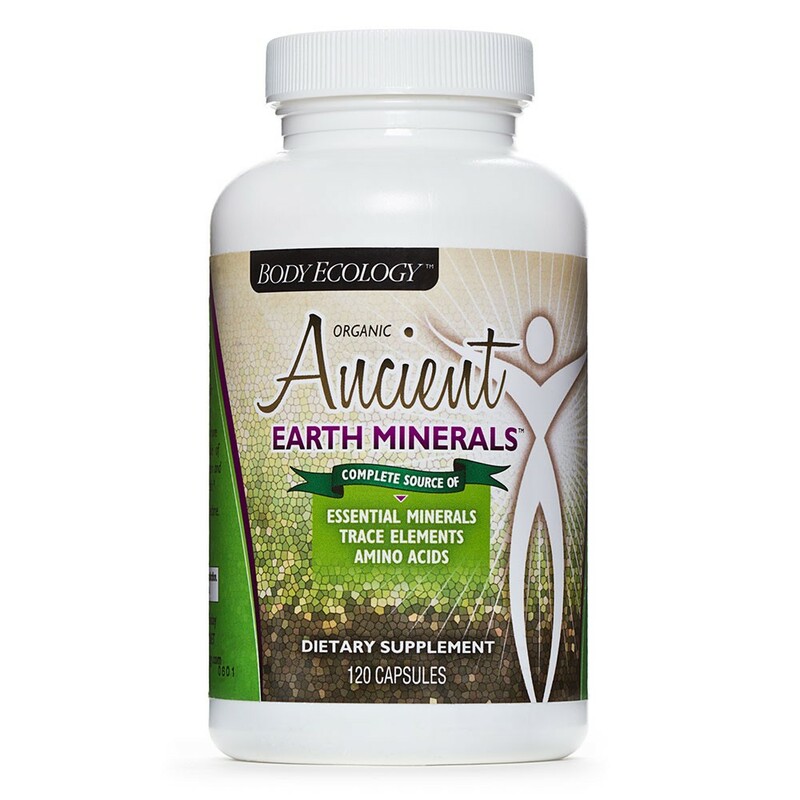 Eat plenty of ocean vegetables and supplement with the highest quality blend of humic, fulvic, micro, and macro minerals and amino acids found in Ancient Earth Minerals. These organic compounds enhance mineral and trace element uptake and support detoxification, rebuilding cellular energy. Donna Gates, M.Ed., ABAAHP, is the international best-selling author of The Body Ecology Diet: Recovering Your Health and Rebuilding Your Immunity, The Body Ecology Guide to Growing Younger: Anti-Aging Wisdom for Every Generation, and Stevia: Cooking with Nature’s Calorie-Free Sweetener. An Advanced Fellow with the American Academy of Anti-Aging Medicine, she is on a mission to change the way the world eats. The Body Ecology Diet was the first of its kind—sugar-free, gluten-free, casein-free, and probiotic rich. In 1994, Donna introduced the natural sweetener stevia to the U.S., began teaching about fermented foods, and coined the phrase “inner ecosystem” to describe the network of microbes that maintains our basic physiological processes—from digestion to immunity. For a consultation or to learn about Donna Gates, click here! PLEASE take a moment to ‘Like’ Thyroid Nation on Facebook and listen to us on Thyroid Nation RADIO, Twitter and Periscope. Questions or anything to add about Adrenal Fatigue? We want your thoughts in the comments section–Please!